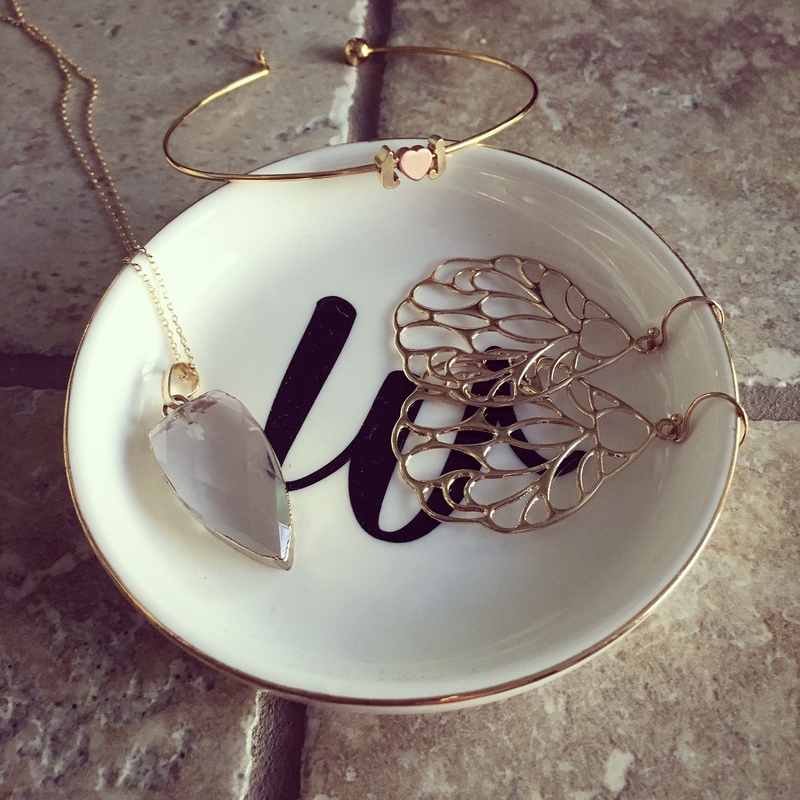 Brin & Bell – Jewelry: If you are looking for an adorable shop that makes all things jewels, then search no further! 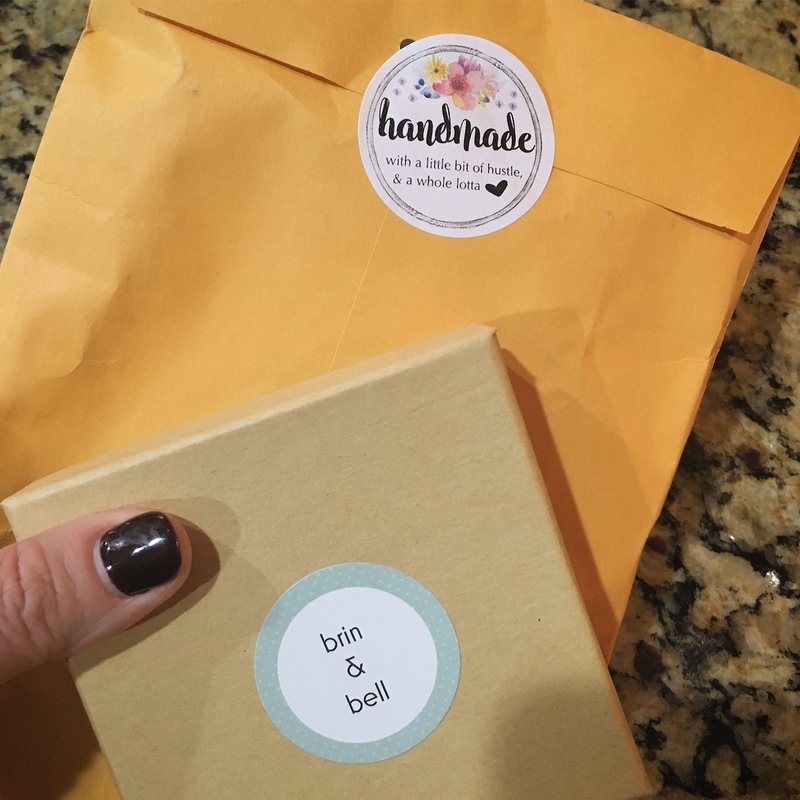 Brin & Bell is an adorable mom-owned shop that sells lots of lovelies. Have fun scrolling through the Brin & Bell website, you will fall for everything you see, as well as the great prices! I especially love their personzliaed jewelry options. I made this sweet love letter bangle bracelet using my husband and I’s initials and my favorite touch is the two-toned gold accent. 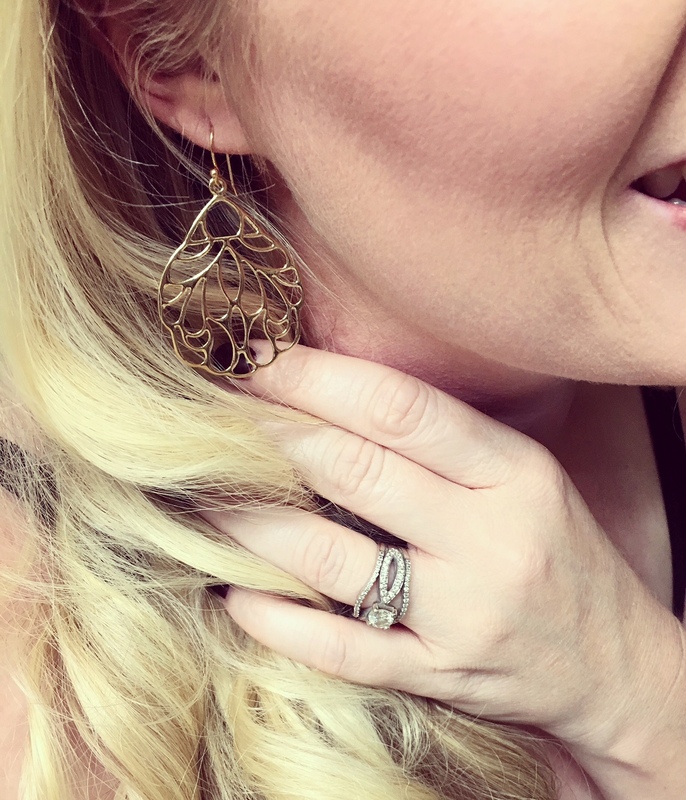 Since I wear a lot of gold, I also love the gold dangle earrings and the gemstone necklace; both perfect for sprucing up any look! 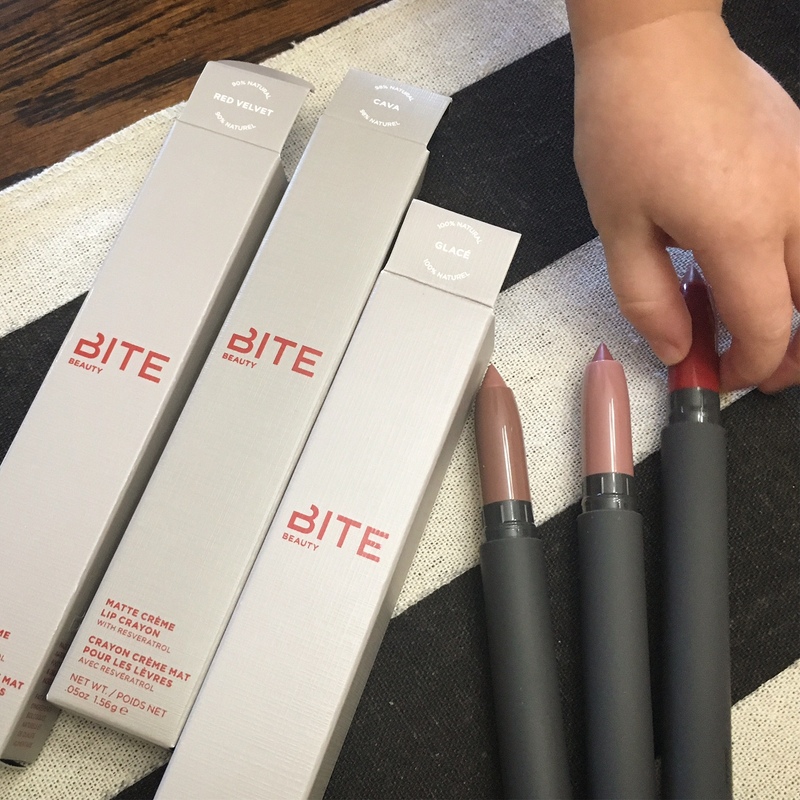 Bite Beauty – Matte Creme Lip Crayons: Since having kids I have become a lipstick person. This is partly because a bright smile is contagious, but also because it is something that I can put on to freshen up my everyday mom-look as I am quickly running out the door. 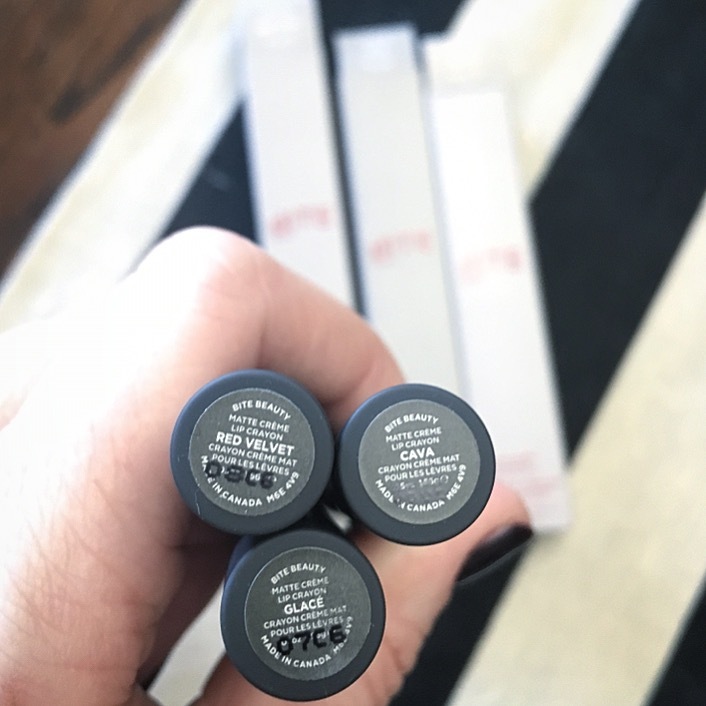 😘 I have recently had the opportunity to try Bite Beauty Matte Creme Lip Crayons complementary for testing purposes… and I am in LOVE! They go on smooth, the have a yummy sweet taste and the color lasts! 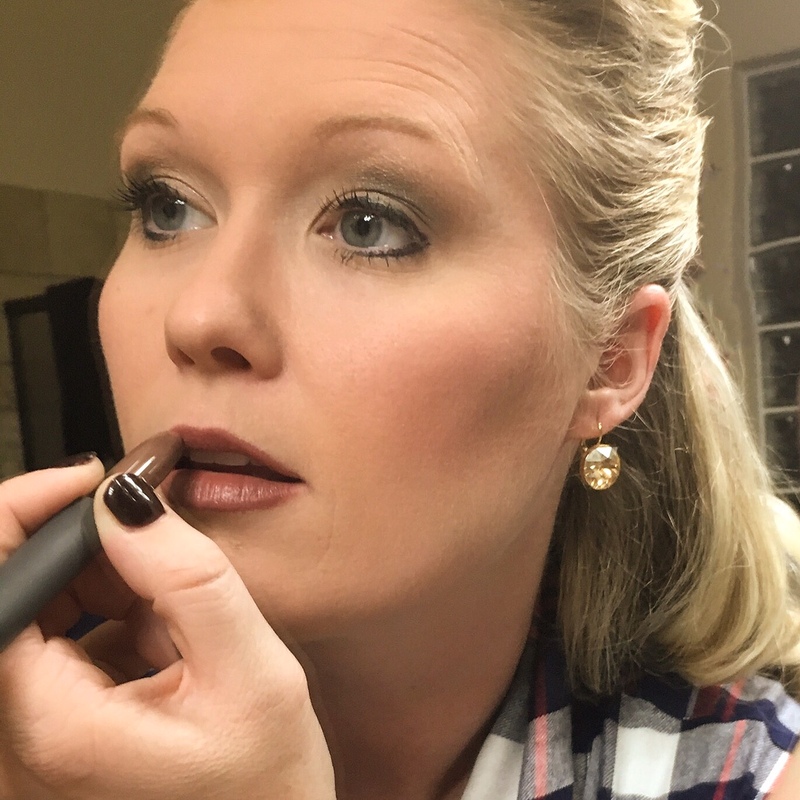 If you are looking for a new lip color to brighten up your daily look, I highly recommend Bite! My new favorite go-to colors are Cava & Glace, but if you are looking to make a red statement then try Red Velevet! My favorite places to shop Bite Beauty: online at Amazon or in store at Sephora. 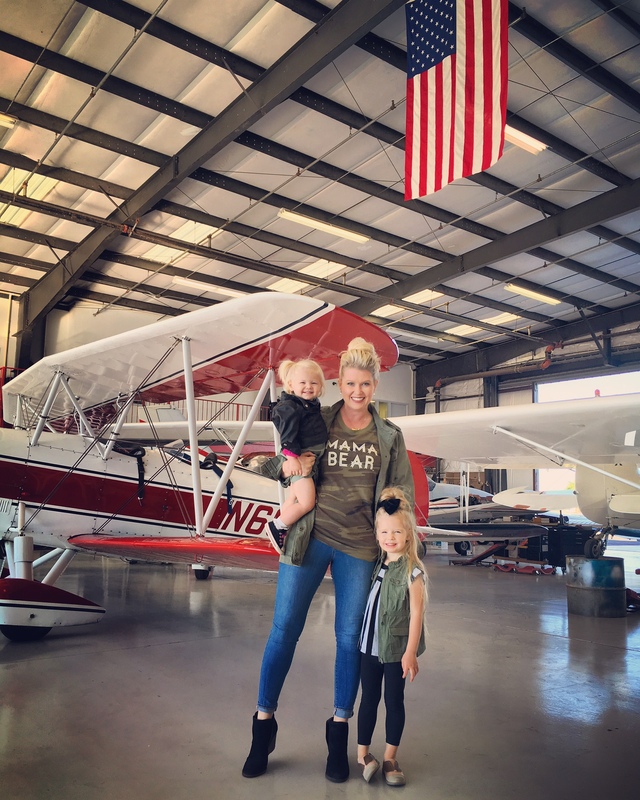 Loved By Hannah & Eli – Mama Bear Tee & Thermos: My name is Jenna, and I am a Mama Bear! If you haven’t seen or heard of the adorable “Mama Bear” or “Bear Cub” saying, ‘Loved By Hannah & Eli’ has you covered. Not only is their clothing & accessories shop known for being adored by celebrities and featured in the press, but it is comfortable and darling. They make clothing and apparel that sports all of the cute bear family sayings… papa bear, man cub, baby bear, nana bear, little lady cub, grumpy bear,etc. the list goes on and on. 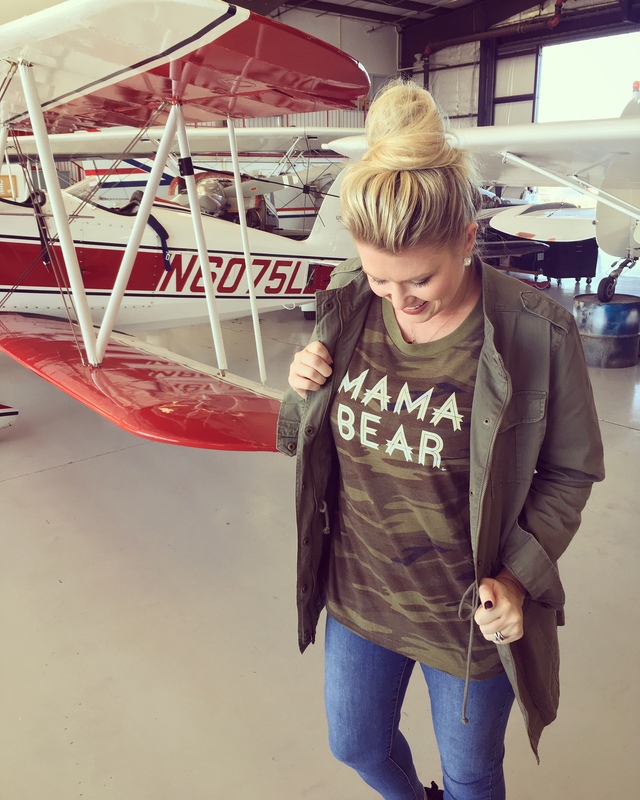 Since I am a camo-loving girl, thanks to my outdoorsy hubby, I fell for the “Mama Bear” tee! 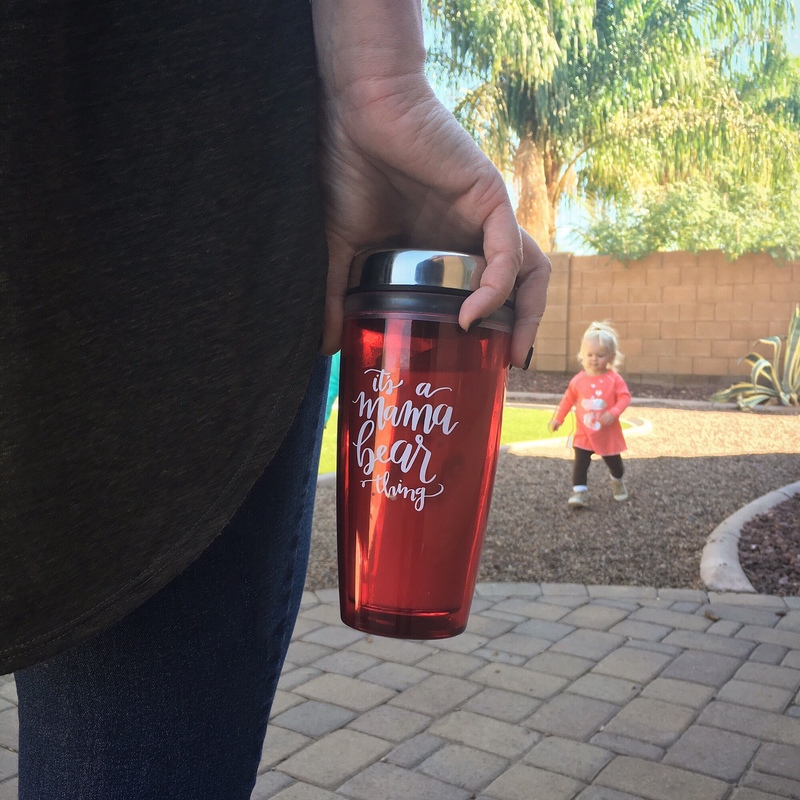 I also love all of their hats and mugs: You will find me sporting my “It’s A Mama Bear Thing” thermos all around town on the regular! But, don’t just take it from me, check out all of their BEARy good selection now! USE CODE ESPRESSO15 for 15% off on the website! Gentry California – Large Monogramed Plaid Shoulder Bag: I absolutely love bags, just call me bag-hoarder. You can never have too many. Some like shoes… I like bags! 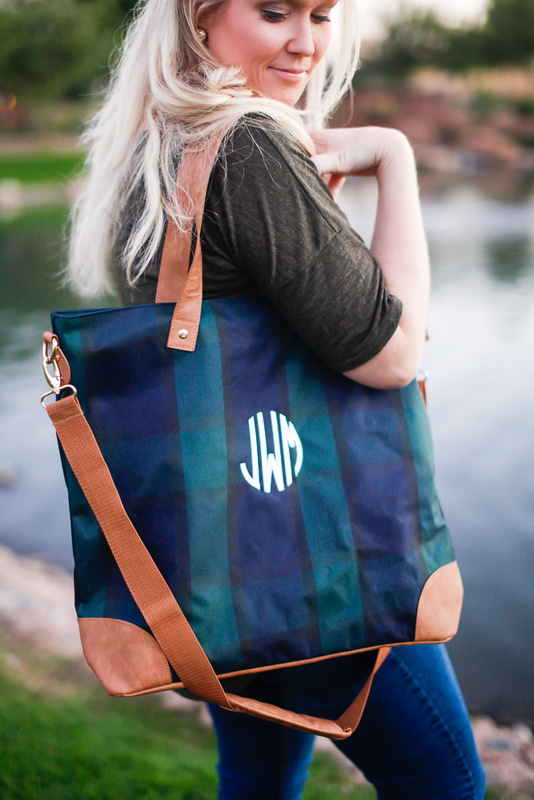 The beauty of Gentry California is that they have created not only a functional large shoulder bag, but they have made it in a to-die-for fabulous plaid pattern and added a bonus monogram! What more can a girl ask for?! 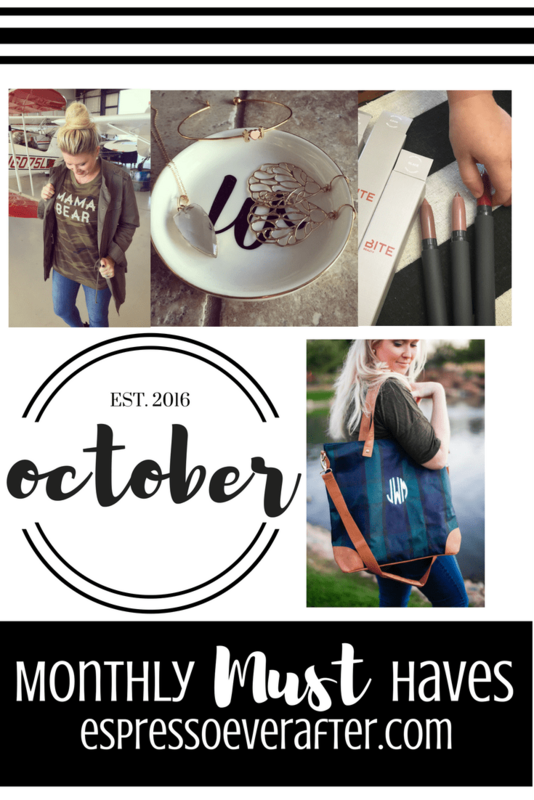 I have mentioned before on the blog, CLICK HERE, that I absolutely love this company and this bag is another reason why! Gentry California has you covered on all things monogrammed or personalized and I promise you will love them! 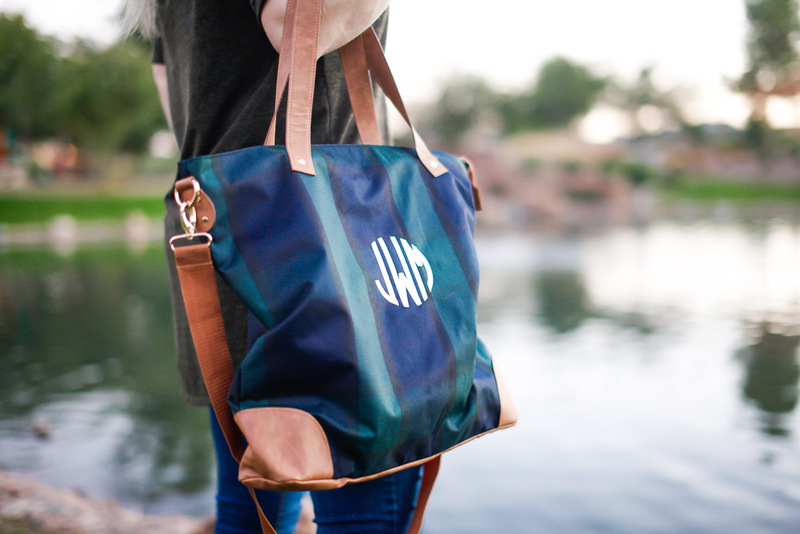 Scroll through their website and become a monogram-lover too!